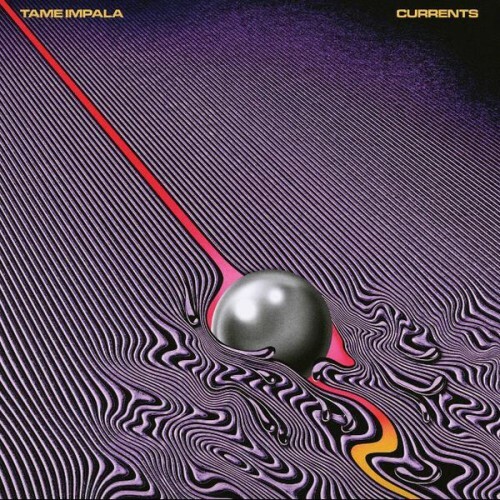 One of the most anticipated albums of the past few months was without a doubt Tame Impala's Currents. Musical genius Kevin Parker already slowly revealed some tracks which gave some insight in the new directions he was going. It was clear the album only had a supporting role for the guitar and that Parker moved the synths into the spotlight. It is interesting to hear how this unfolds for the entire record. Although it's not strictly a break-up album, Parker's break up with Melody Prochet of Melody's Echo Chamber is apparent on the album and has led to a few songs like the wonderful smooth soul track 'Cause I'm A Man' and 'Eventually'. The break-up and the album are part of the changes he has been going through and this is what reflects in the songs. Parker explained in an interview that changes flow through a person like currents and are part of life. It's clear those changes are what the record is about, including the break-up in his relationship and the changes in his music. Parker even sings about this in 'Yes I'm Changing'. When you first hear the songs, they remind of 'Feels Like We Only Go Backwards' from the brilliant second album Lonerism. Many songs have the same feel and maybe Parker used that as a starting point. The songs are fluently flowing into each other and instead of fuzzed guitars you get spacy synths on reverb. Although especially that second album carried some big hits like 'Elephant', this one seems to lack potential hits. But 'Elephant' seemed unlikely to become a hit at first as well and when you give it a second thought, songs like 'The Less I Know The Better' and 'Let It Happen' could easily turn up high in the charts. With every spin, the new sounds sinks in more and becomes more familiar. Listening closely to the album it's also not such a drastic change as it seems. The tools may be different but Parker is actually still crafting his songs in the same way as he used to. Instead of carving his art from stone with a chisel, he's now painting on canvas. Although the result is seemingly different, giving it a close listen reveals that it is still unmistakably a genuine Tame Impala work of art with lots of gems sparkling in it. It does feel less of a master piece than Lonerism, but maybe after some time it may prove to be just as brilliant or even better. If not, it's still a wonderful album and a proper addition to Parker's catalog. Listen to 'Currents' on Spotify.